Call Now for Quick Service! Proactive approach to limit the use of products in your home. Complete commercial and residential pest control services. Fast, effective, friendly, and affordable ant control services. Get FREE expert advice. No hassles, use the form below and we’ll contact you today. 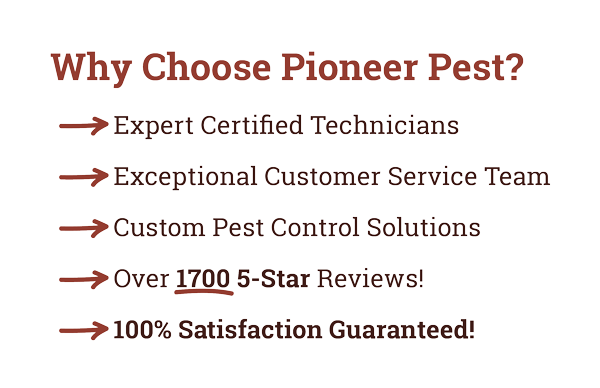 Pioneer Pest Management takes providing top quality pest control services to our customers seriously. Pioneer is ranked in the top 3% of Pest Control Companies nationwide when it comes to certifications, employee training, and industry memberships. Pioneer is certified by the National Pest Management Association, QualityPro, GreenPro, and has been recognized by the Environmental Protection Agency as being good stewards of the environment. We invite you to read reviews about our services. We protect residential and commercial properties against the injury, disease, and damage that can be caused by common pests. UNPARALLELED LEVEL OF CUSTOMER SERVICE SINCE 2001! A proactive approach to pest control to limit the use of pest control products on your property. 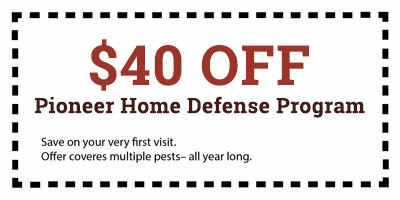 Professional pest control solutions for all types of pests. Guaranteed strategies to deal with ant infestations, control, and removal. With our professionally trained and certified technicians, state-of-the-art tools, and wealth of experience and expertise, you can sleep well each night knowing that your family, your home, and your business are protected.